Chiang Mai is one of the must visit place in Thailand aside from Bangkok and Phuket. I haven't been to Phuket but I think it's a great place to unwind too. After visiting Bangkok and Mae Sot during the first 3 days of my tour in Thailand, I can already say that it is centered in Buddhism. With all that temples and Buddha scattered around the place, it's not hard to define Thailand as something that has high regards and respect with Buddhism. After visiting the Grand Palace in Bangkok, I was also able to have a glimpse of Thailand's history pertaining to its kings and relationship with Burma. They said Chiang Mai is just a small city. I don't know how true this is but I find the city very amusing despite them telling it is just small. Our agenda in Chiang Mai? Of course the old city. You haven't been to Chiang Mai if you didn't visit the old city. But what is the old city you say? Old city is one of Chiang Mai's biggest attraction. It was built 700 years ago and was surrounded by square walls. It was once the center of Thailand. And today, even though it was more developed, you cannot simply ignore the rich history contained in its walls. Within the walls of the old city, there are many things you can see and discover. Particularly the high number of temples ('Wat' in Thai) you could see around. This is because Chiang Mai has always been a center of Buddhism for the Thais. After taking the bus from Tak to Chiang Mai, we went straight to the place where we are staying in for 2 nights. I booked our room from Airbnb which is an accomplishment to my travel enthusiast self. It's quite cheap for its price I guess because the rooms are nice and our host also made sure we have everything we needed during our stay. Our host Isaac also let us rent 2 rooms for free during our first night since they had a mistake of letting other guest stay in our booked room. The only downside is the room I booked is somehow far from the old city. If we walk from our booked room to the old city, it would take like 30 minutes to an hour. So the only way is to take a Tuktuk. There are no taxis available in Chiang Mai. The primary transportation are tuk tuks and private vehicles. So I suggest, if you're planning to see the old city, better book your hotel/guesthouse accommodation inside the old city. There are a lot of hotels and guesthouses inside. Not only you can save time travelling to and fro from the old city but you can also experience the old city better. During our first day, we first bought a train ticket to Ayutthaya so it would be convenient for us before we depart Chiang Mai. My first impression on the old city? "Wow. More temples." Lol. Seriously, if I will compare it with Vietnam, Vietnam is more on its history with Vietnam War while Thailand on the other hand is more on its Buddhism influence and Monarchy. Don't get me wrong, I am not complaining. Every Wat is unique to the others. It's always seeing something for the first time and asking myself how beautiful the world is that's always make every trip memorable. Be it with temples, and more temples. The picture couldn't even give justice to the real thing. You have to see it up close! We roamed around the old city but it's impossible to see all the temples in a day. We just went to the major temples. And when it's already too hot, we had lunch before going back to our room. One thing I loved about Chiang Mai is its markets. They have night bazaar, Saturday market, as well as Sunday market. All inside the old city. Lucky us, we were in Chiang Mai on a Saturday and was accidentally brought into the Saturday market by people. Saturday market starts at 4PM until midnight. Based on my experience, it's like a Divisoria but with a festive feeling. A street is turned into a market with different stalls both on your left and right. There are a lot of street performers and massage services. 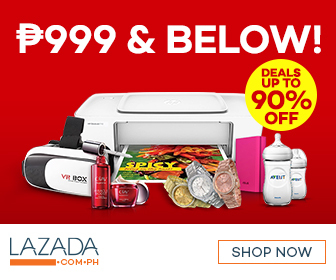 If you're thinking of buying pasalubongs for your friends and loved ones, this is the right place to do so. There are stalls for tshirts, keychain, ref magnet. From furnitures to paintings. Different clothings. Even soaps and books. You name it, they have it. Haha Lol. But seriously, this place has e-ve-ry-thing!!! Not mentioning the street foods yet. It feels like we didn't do anything in Thailand but to eat so I'm actually full by the time we went to Saturday market so even though I want to sample everything, my stomach doesn't agree. Also, we already ate dinner in a food bazaar just meters away from the Saturday market. This is what I love the most about travelling, not only you get to experience new culture and see new places, you also get to eat and sample new cuisine! Street food is love. This is true especially for Asian countries. Police officers having their mini concert outside their office. Our second day in Chiang Mai consists of roaming around the old city again. Or more like of cafe hopping. Lol. You will never run out of food choices inside the old city. Plus points for the fast wifi as well! Before we went to the train station to depart for Ayutthaya, we also saw some shops being prepared for the Sunday market. I wanted to look around but we have to go the train station already. Lol. This trip is so much fun and interesting. All thanks to my father for letting me experience this. Hihi. Andddd.. that's me. Kind of amazed by Thailand's sleeper train because we don't have it here and it's my first time to have an overnight trip in a train. Lol. Next stop: Ayutthaya. Another major kingdom in Thailand.